Are you transitioning to natural curls? Or just looking to refresh your regimen? If so, we have the easy 4b/4c curl care routine you have to try. Transitioning takes some time, but here's how you can help make the process smoother. Before washing, set aside some time to exfoliate your scalp. You can make your own or purchase one. This allows you to break up dandruff, dead skin cells, or any linger product before washing. This serves as your pre-poo treatment, and helps encourage blood flow to your scalp. Cleanse your curls with a sulfate/paraben/fragrance/dye free shampoo. Completely saturate your curls with warm water, and focus on washing your scalp. Allow the shampoo to rinse through to cleanse the rest of your hair. 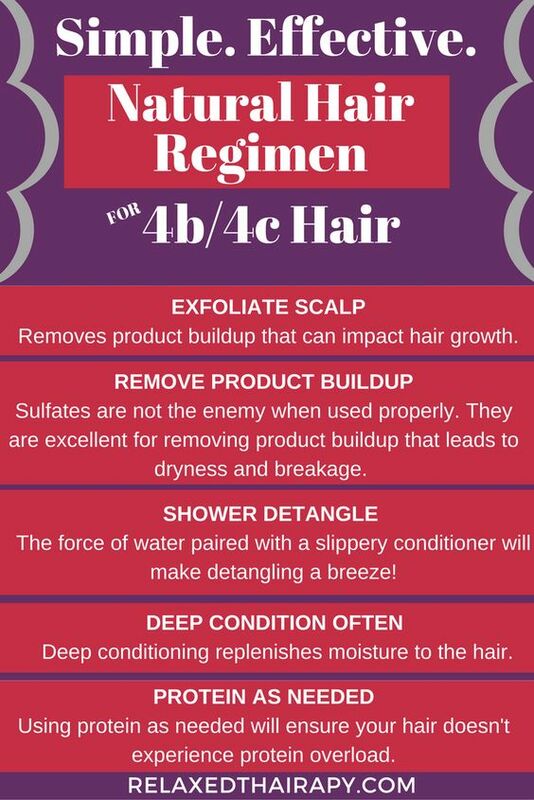 In the shower is a great time to work on detangling your delicate strands. Apply conditioner generously to your hair, and use a wide toothed comb or your fingers to tackle knots. Spend your time to work on each individual tangle, gently removing without pulling or tearing. Get a conditioner that provides a lot of slip to help loosen even the toughest of knots. This step is crucial for helping curls retain moisture. Make sure you apply your deep conditioner thoroughly, so all strands are covered. Allow the product to remain in your curls for a minimum of 30 minutes to take full effect. Rinse with cool water. After squeezing out excess water using a terry cloth towel or t-shirt, apply a moisturizing treatment. A hydrating leave in conditioner works well to restore any moisture lost during the cleansing process. Follow up throughout the week by adding in more of your favorite leave in conditioner. You can also spritz your curls with water to refresh them and re-introduce moisture.